If you missed Bonnaroo, Coachella, the Essence Music Festival or maybe even Florida’s own Okeechobee Music Festival this summer don’t be sad. 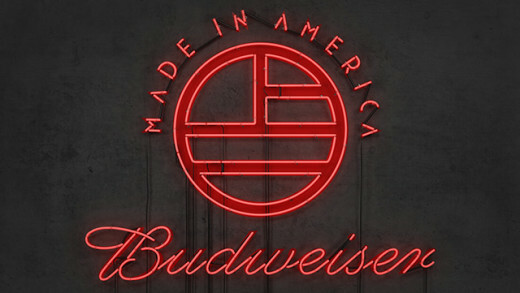 The lineup for Philly’s ‘Made In America’ festival has been announced and it’s lit! 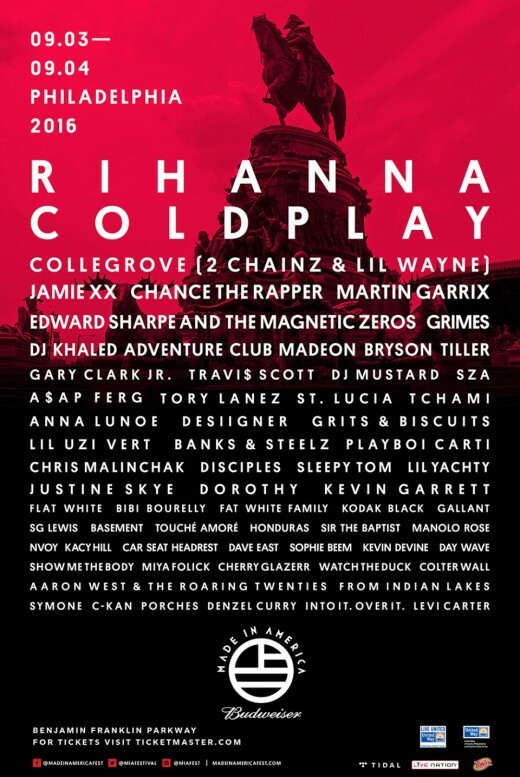 Rihanna and Coldplay are headlining this year’s show. The two have never performed at the concert, but are very close associates to Jay Z, who has lead the show since 2012. The rest of show includes performances by Collegegrove (Lil Wayne and 2 Chainz), Chance the Rapper, the Magnetic Zeroes, Edward Sharpe, SZA, A$AP Ferg, Dj Khaled, Kodak Black, Desiigner, Travi$ Scott, DJ Mustard, Bryson Tiller, Tory Lanez, Lil Uzi Vert, Lil Yachty, Gallant, and tons more. Catch the two-day event this Labor Day weekend, September 3rd and 4th at Philadelphia’s Benjamin Franklin Parkway. Pre-sale tickets will be available to Tidal subscribers starting at 10 a.m. on June 22nd. Regular tickets can be purchased on the website June 27th. Let us know in the comments what you think of the lineup and who you’re looking forward to seeing if you are attending. See you there! 2 Chainz & Lil Wayne Collaborative Project Releasing This Week!! !